I gave a talk at Boston Python the other night. It started as an exposition of the point matching algorithm I’ve previously written about on this blog. But as I thought about my side project more, I was interested to talk about the challenges I faced while building it. Not because the specifics were so interesting, but because they were typical problems that all software projects face. And in particular, I wanted to underscore this point: software is hard, even for experts. Experts have the same struggles that beginners do. You will be learning new things forever. That feeling of frustration is you learning a new thing. Get used to it. As a beginner myself just now taking a break from a particularly thorny problem this is a very good article to read. I think I'm gonna go give it another shot! "When beginners get frustrated, they can start to worry that they are not cut out for software, or they are dumb, or that everyone else gets it and they don't." That's exactly how dealing with Python packaging makes me feel. Thanks, Ned. I feel the same recognition of both those boys's emotions. 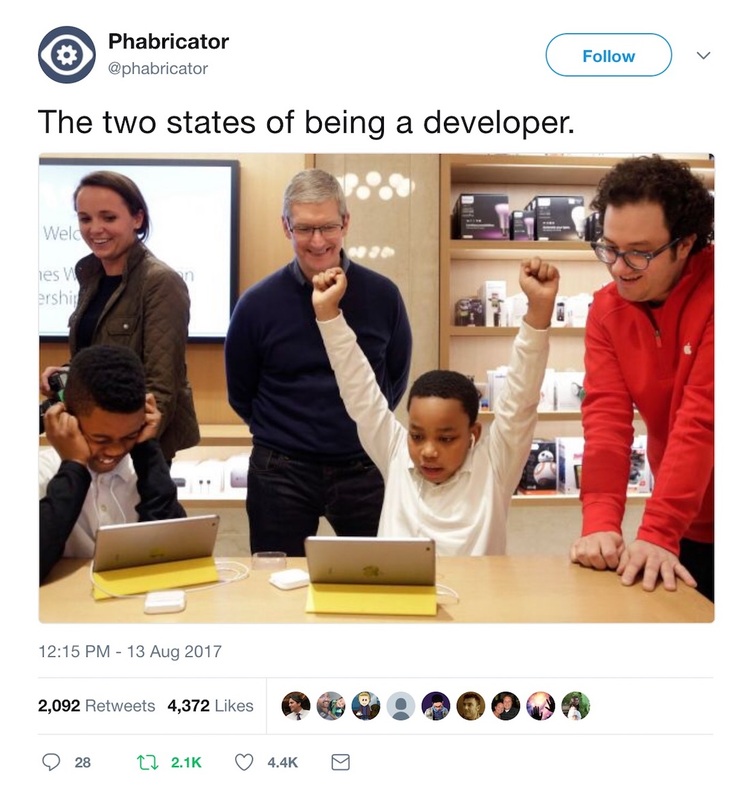 A pity, then, that these boys are learning software development on a platform deeply locked down, where they can never be in control: the Apple-controlled silo where they will always be outsiders, the platform that will only ever see Apple as its master. Though they have a powerful general-purpose computing device, and they may get some way down the path of learning software development, the device's nominal owner is fundamentally locked out from actions that the true owner, Apple, has sole control over. I want these boys to learn software development on a platform that doesn't treat them so contemptuously. I enjoyed reading this post. It emphasized the double-sided nature of how it feels to be a developer in a field as big as software development. On the one hand, we're lucky because we always have more to learn; on the other hand, we're unlucky because learning those things can be difficult and frustrating. 1) accepting the frustration and coping with it however I can. This includes not blaming myself for feeling frustrated, taking a break, asking for help, etc. 2) transforming my frustration into excitement. If you learn to look at a problem the right way, debugging it becomes like a treasure hunt: every new step you make towards fixing the problem brings that you much closer to the treasure! So much fun!